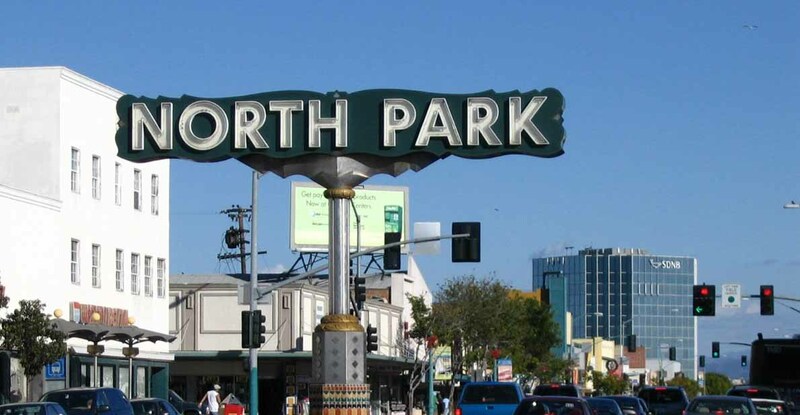 North Park is situated to the northeast of Balboa Park, bounded on the north by University Heights , on the west by University Heights and Hillcrest, and on the south by Switzer Canyon and the South Park neighborhood, on the east by Interstate 805 and City Heights. This area is lined with turn-of-the-century Craftsman Bungalows and California Bungalows. Because many of the homes were designed by renowned designer and builder David Owen Dryden, the area is the site of the “Dryden Historic District.” These bungalow style homes are very sought after, and Thanks to the bustling town center of 30th and University, many of the neighborhood values have skyrocketed in recent years. With the influx of posh eateries and many micro-brew pubs, and the proximity to the Zoo and Balboa Park, North Park is quickly becoming a place where hip business professionals are buying and investing in, helping to continue to drive up the demand for this great area. Balboa Park – is a 1,200-acre urban cultural park. In addition to the many open space areas, green fields and gardens, forest areas, and walking paths, it several theaters, multiple museums, restaurants, and the San Diego Zoo. San Diego Zoo – located in Balboa Park, the zoo houses over 3,700 animals of more than 650 species and subspecies. The Zoo was a pioneer in the concept of open-air, cage-less exhibits that re-create natural animal habitats. It is one of the few zoos in the world that houses and successfully breeds the giant panda. In 2013, the zoo added a new Koalafornia Adventure exhibit, providing an updated Australian animal experience.